If your child is ANYTHING like mine, then you can teach them ANYTHING if you use LEGOs. So naturally, when I saw this, I almost swooned with joy! 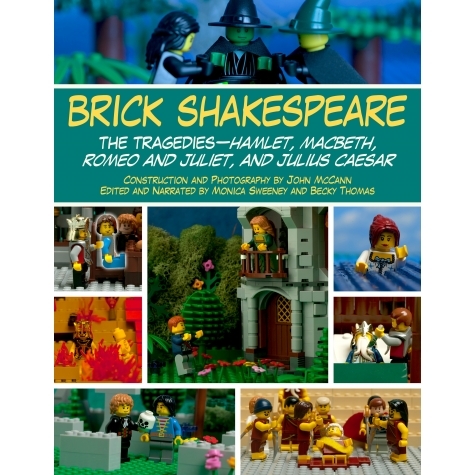 Brick Shakespeare is pure genius and claims to serve as an introduction to Shakespeare's tragedies. The book has one thousand color photographs to accompany Shakespeare's poetic writings. Some people are purists. They don't like their kids/students reading abridged versions. They will only teach from the originals. But in my opinion, introducing young children to classic works with materials that are easier for them to understand and that are engaging, makes learning those classic works when they are older a LOT easier. So... you can betcha I snatched these up as fast as I could and I cannot wait to get them. I'll update this post with a review once the book arrives, but I'm not sure how long the deal on Educents will last. Right now, you can purchase the book for $16.95. And you know what else? 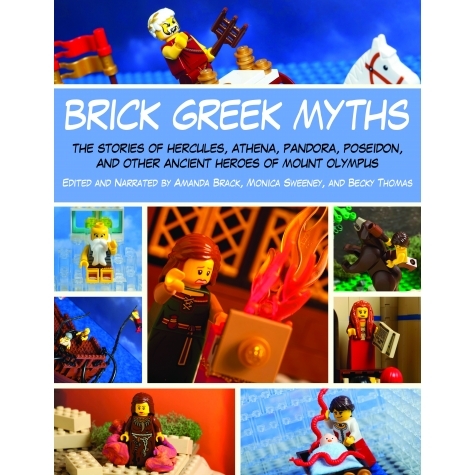 They have a second book featuring the Greek myths! !